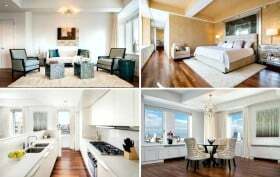 Fashion-forward supermodel Tyra Banks has listed her surprisingly unfashionable Nolita condo for $3.8 million, according to the Daily News. She bought the two-bedroom pad back in 2005 for $2.1 million. The historic Cass Gilbert-designed Beaux Arts building known as the Spring is located at 225 Lafayette Street and has quite the celebrity following. Actress Dakota Fanning currently resides there, and John Mayer sold his unit there for close to $4 million in 2013. We’re guessing it wasn’t the limelight that persuaded Banks to list, though.